If you've been around Neopia for any length of time, chances are you've heard someone talking about "account purges". It's an impressively technical-sounding term, but it doesn't explain an awful lot. Even if you've got a vague idea of what a purge is, you might not be quite sure how it works or how it affects you. This guide will hopefully clear up all the facts you need! Not everyone who joins Neopets decides to stay. Many people make accounts, play a few games, then decide a few days later that they don't have time for the site or that it doesn't suit them. Some give away their stuff and use the official Close Account page; others simply leave their accounts behind. As far as they're concerned, their involvement with Neopets is over. 'Neopia'? That sounds familiar... it was some 80s TV show, right? However, while the users are gone from Neopia, their accounts aren't. Even if an account has been officially closed down, it still exists -- it just can't be viewed. So over time, thousands of unused accounts pile up on the Neopets servers, taking up space. What's worse, the abandoned accounts take up names, too. 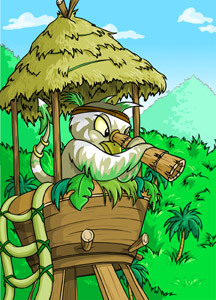 Every Neopets user has to have a unique username; if you name your account "Jennifer", then no other user can have the name "Jennifer" -- they'll have to be content with "Jhenifer" or "Jennifer01", or choose a different name altogether. Even if the original Jennifer is frozen, or hasn't been online since the day she first created her account, she still counts as the owner of that username -- and nobody else can have it. We work very hard at making the Nickelodeon Virtual Worlds fun and enjoyable for everyone because we want you to stay active. However, if you choose to stop playing on the Nickelodeon Virtual Worlds, we reserve the right to permanently erase your account and everything associated with your account including items or privileges that may have been licensed through the payment of money to us or our licensing partners. Currently, our policy is to terminate any account that has not been active for eighteen months. TNT have decided, fairly reasonably, that a user who hasn't logged into the site for a year and a half probably isn't coming back, and that it's okay to remove his or her account from the servers. This doesn't mean, however, that an inactive account will magically vanish in a puff of smoke eighteen months to the day after it was abandoned. Instead, large numbers of long-inactive accounts are deleted all at once, as a planned event every couple of years. This is known as an account purge. What Happens In An Account Purge? During a purge, inactive accounts are deleted from the servers over a period of several days or weeks. This is done automatically by a computer program, so it can happen twenty-four hours a day, seven days a week -- there's no member of TNT sitting in the office, pressing a button to delete each account. As a result, the speed with which accounts are deleted is exactly the same during "working" hours as it is in the middle of the night. The deletion process tends to happen in alphabetical order, so accounts beginning with "A" vanish before accounts beginning with "Z", but after those that begin with numbers. Underscores are considered to come after "Z" for this purpose. However, accounts may be sorted into several batches, so it's possible that having finished deleting one set of accounts, the program may begin again at the start of the alphabet with a fresh batch. ...W, X, Y, Z, underscore. What do you mean, that's not how you learnt the alphabet at school? Although many people claim that a deleted account's items are returned to Neopian shops or the Money Tree, in reality this does not happen -- the items simply vanish, no matter their rarity. The same applies to Neopets and Petpets. So if that friend of yours who owns a one-of-a-kind item from the Smugglers' Cove hasn't been active for a while, you'd better make sure he or she comes back soon if you don't want that treasure to disappear from Neopia forever! If you don't happen to be the owner of a long-inactive account, a purge may still be relevant to your interests. Many people take advantage of an account purge to make themselves a new side account or Neopet, using one of the names that were deleted. Typically, there is no announcement when a purge starts, ends, or reaches a certain point. The Neopets Team appear to view purges as back-end maintenance of relatively little interest to ordinary users, and the most notice that can be expected is a mention in the Neopian Times editorial. (Sometimes, inactivity warning notices may be emailed to long-gone players in anticipation of an upcoming purge, but these do not indicate that one is going to happen any time soon -- the Y12 purge finally took place in December, after warning emails had been sent out in June.) If you're interested in snapping up a particular account name, you're going to have to employ a little patience and detective work. The most common method of name-stalking is to keep an account's userlookup as your browser's homepage. If you log on one day to find that the lookup has been replaced by a message reading "Sorry, nobody by this name exists in Neopia. Try another username in the search box below! ", you'll know the account has been deleted. Assuming the name fits the usual rules (longer than five letters, and not offensive, religious or political in any way), you're free to create an account by the same name as soon as it disappears. Not all accounts eligible for deletion will be purged; it's not known what might prevent an account from being deleted, but it does sometimes happen that an account will apparently escape the purge for no reason. TNT won't respond to requests for specific accounts to be deleted, so if the account you're stalking simply won't go, you may be out of luck. It's also worth noting that to date, there have been no known cases of an official Neopets Team staff account being deleted and recreated during a purge. This is probably deliberate, to prevent possible scamming attempts -- so if your dream account name is "borovan" or "donna", you might have to think again. During a purge, users on the Neoboards will frequently collaborate to keep an eye on which accounts have been deleted, so players don't waste time checking a name beginning with "Q" over and over while the deletion process is still at "B". A handful of accounts beginning with each letter of the alphabet are chosen as "markers" for this purpose, so that rather than just saying "we're somewhere in the letter C", the board posters can say "we've passed ChocolateB but we're not yet at ChocolateZ". No matter how excited you are, it's not a good idea to give other players on the Neoboards any hints about the account or pet name you're hoping to snap up. There are some mean people out there who might figure out what you're stalking and grab it quickly just to laugh at you. So don't even mention vague details like "a six-letter account name beginning with B" or "a pet name that's currently on a Starry Lupe" -- it's better to be safe than sorry. Help! I Don't Want My Account Purged! Account purges are based entirely on how long it's been since the last time an account was accessed, not how long the user spent playing on the site or what he or she did while logged in. 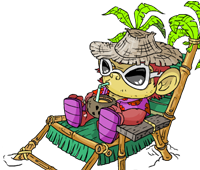 So even if you don't have the time to play Neopets at the moment, as long as you can spare two minutes to log in every year-and-a-half, your account will be safe. Have a nice hiatus, and we hope you can return to activity someday soon! Wait, it's been HOW long since I last logged in? If you're having trouble accessing an account due to difficulties with the password or email, you should send a ticket to the Neopets Team as soon as possible -- don't wait for an account purge to be announced! The more information you provide and the sooner you do so, the earlier you should be able to regain access.